DividendMax»Company Coverage»Country:United Kingdom»Exchange:London Stock Exchange»Sector:Support Services»Company:BCA Marketplace Plc. 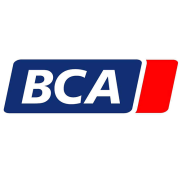 BCA Marketplace owns and operates the UK and Europe’s largest used-vehicle marketplace, as well as the UK’s market leading provider of vehicle buying services, We Buy Any Car. Together, this allows the Group to provide an efficient and effective mechanism to facilitate the change in ownership of used vehicles that matches the complex requirements of both vendors (sellers) and buyers of used vehicles who utilise the Exchange.